You’ve most likely heard it many times before, but it honestly can’t be said enough that the sun is your skin’s #1 public enemy and the surest way to cause pre-mature aging and increase the risk of getting skin cancer. So I was shocked to find out that today from the experts that the message is still not getting across to the people out there and not everyone is using sunscreen on a daily basis. Many are only using sunscreen when they head out to the beach but not when they are out and about. Incidental sun causes more damage as people don't remember to apply sunscreen and that most of our sun damage is caused in the first 18 years of our lives but that damage won’t come to surface until many years later. UVA rays, even on a cloudy day will cause damage to skin cells, causing those fine lines and deep wrinkles. And if you want to tan, do so safely with sunscreen - it may take longer but it is safer! Launched as a take-home after care product with the new Endota Glycolic in-spa treatments, this physical blocking moisturiser sunscreen doesn’t deteriorate like chemical ones do over time so I’m overlooking the fact that it’s only SPF15. It’s quite thick but the paste-like formula rubs well into skin to give a surprising matte finish without any hint of shine and would suit normal to oily skin types . With moisturizing ingredients like aloe vera juice, jojoba oil, green tea extract, vitamin C to hydrate and protect the skin, you get 2 benefits in 1. I’ve now made this my daily facial sunscreen as I love how it also primes my face and help makeup sit better on the surface of skin. Best of all there is no white cast usually associated with physical sunscreens to be seen. RRP A$65 at Endota spas and Endota online. On days when I’m giving my skin a break from the intensive layering of serums and treatment products, I only this product and I’m set to go. This light lotion absorbs into skin with ease and little rubbing, non greasy it also leaves a semi matte finish that also works well as a primer for makeupl. I’ve found that this broad-spectrum moisturiser sunscreen too rich to use with my vitamin C oil serum and it caused a few breakouts around my nasal labial folds when I do the layering of multiple treatments products. On its own, it’s beautiful and hydrating enough and if only I don’t have so many other skin issues like pigmentation, large pores and uneven skintone, I’d gladly give up the layering to use only this product and this would make one great product dryer skin types. Thankfully it’s also packed full of great ingredients - hyaluronic acid to boost hydration, nicotinamide (a form of vitamin B3) to promote elasticity and soothe skin so that I don’t feel guilty when I go without treatment products with its use. I’m a lazy person by nature and spray and aerosol type sunscreens will forever be a part of my life. The heavenly coconut scent is the reason why I love this product. Normally I’m not a coconut fan as it can be overwhelming and synthetic but this one is just right and very natural. A milky lotion in a spray, I spritz straight into my hand it rub onto my legs and arms but spray directly onto the body for hard to reach places like back of legs and necks for 4 hours of protection. Not too sticky and leaves skin with a soft sheen, it makes me feel like I’m taking an island holiday every time I put this to use. This aerosol sunscreen spritz gives a fine mist all over skin without having to rubbed in – pefect for bikini skin with the upcoming summer. The spray has a light fresh scent and leaves skin feeling dry to touch once the alcohol (enthanol) evaporates, but if you prefer your products to not contain alcohol, you are better off with non-aerosol types. 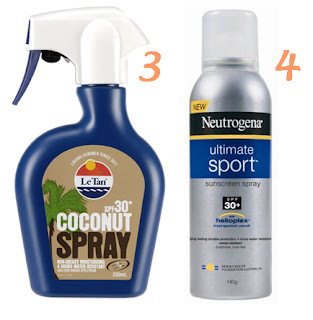 Neutrogena Ultimate sport is made to be sweat and transfer resistant and last up to 4 hours and contains helioplex to stablise and slow down the deterioration of the sunscreen formula. Remember, sunscreen is only 1 of the mantra of slip slop slap. I highly recommend a wide brimmed hat and light long sleever shirt when you’re outdoors for long hours for keeping your skin looking its best for the longest possible time and prevent skin cancer. I wished someone spent the time to tell me all this when I was a teen as I never used sunscreen on a daily basis until my mid 20s. I just hope I can undo the damage I've caused all those years before. What is your biggest skincare regret? Product featured have been provided for consideration. LOL. Stupid but true ~.~!! Tram you are lucky you have age on your side - start NOW everyday! 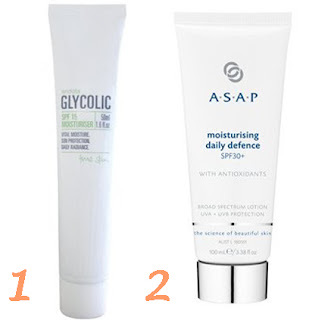 If you have acne (I had major ones in my uni years) go see a dermatologist and ask for Epiduo and get some glycolic products... they will do amazing things for the skin. 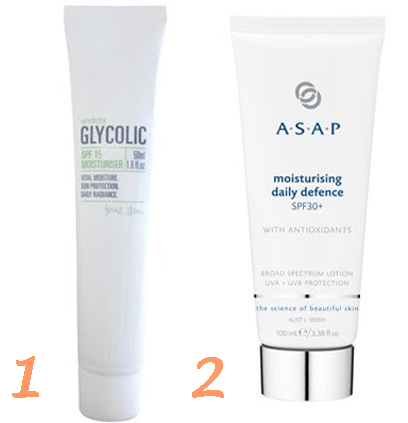 I wish I knew about glycolic products when I was young too! Ling - me too... thankfully I'm in the office and I use physical sunscreen on the face so they don't deteriorate as much. I'm a nerd / geek, so I have a natural hatred for the sun. Though I feel like despite this I really should try and re-apply my sunscreen during the day :( I only apply in the mornings. Wow , this is a nice product, it is easy to use and helpful for lazy person. Thanks for sharing us. Haha Celina, you look so fair, and your skintone so even, no way you have sinned in the sun protection department. I don't reapply either without having to redo makeup... sigh - wish there was an easier way.